Improve your balance, mobility, and overall strength. Get your copy of Easy Exercises for Core Fitness today! Every time you get up, lie down, sit, twist, and maintain your balance, you engage your core muscles. These muscles in your hips, pelvis, abdomen, and trunk are involved in almost every aspect of your daily routines. Together they make up your core. Don’t take your core for granted. Keep your core strong to ensure a healthy, independent lifestyle. Introducing, Easy Exercises for Core Fitness. This special report from the health experts at UCLA’s David Geffen School of Medicine will give you the tools to strengthen your core and stay physically fit. Easy Exercises for Core Fitness describes and illustrates 50 exercises using inexpensive equipment and items you will find in your home. The report also includes programs specifically designed to help you enjoy your favorite physical activities, such as walking, jogging, swimming, tennis, golf, and more. A strong core not only helps with your balance and mobility, it improves your body’s overall strength, flexibility, and independence. Whether you’re just starting out, or taking your fitness to the next level, this report will have an immediate impact on your daily activities. Illustrations, charts, tables, lists, and sample week-long workouts will help you get going and stay motivated. Live a longer, healthier, and more productive life. 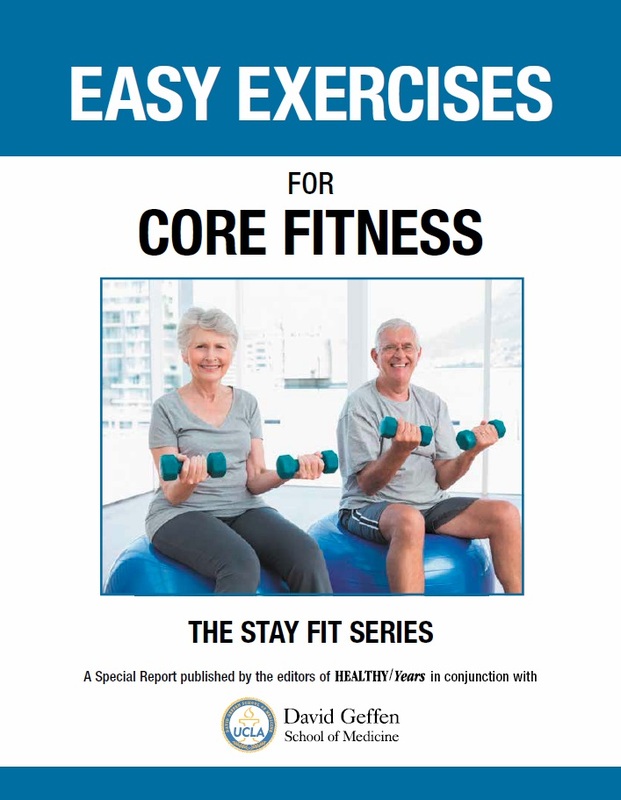 Order your copy of Easy Exercises for Core Fitness today!